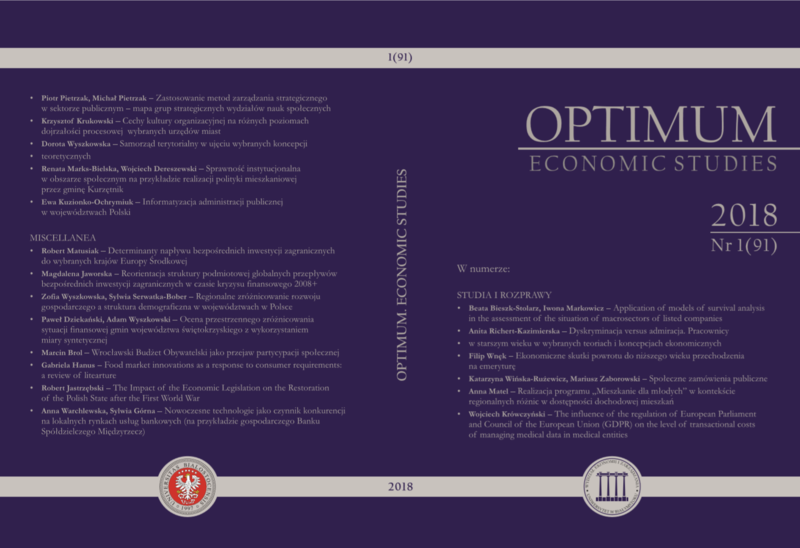 The paper discusses the issue of the impact of Polish economic legislation on the restoration of the Polish State after the First World War. The author draws attention to those legal regulations that directly influenced the Polish legal order and constituted the result of the activity of the Polish legislature in the years 1918-1939. Most of those regulations were drafted by the Commission of Codification, which had been established under the Act of June 3, 1919, and were related to two periods of economic reform: firstly – the reform conducted by Wladyslaw Grabski along with the earlier legislation mainly related to the period of partition of the Polish state; and secondly – the times after 1926. Significantly, an overwhelming number of regulations were promulgated in the form of decrees with the statutory validity issued by the President of the Second Republic of Poland, which actually eliminated the Polish Parliament from the legislative process. The purpose of these regulations was to unify economically the Polish lands and to create a uniform commercial law. It is worth emphasizing that such enactments as the Industrial Law of 1927, the Commercial Code, the Law of Arrangements with Creditors and the Insolvency Law (all enacted in 1934) remained in force also after 1945. Some of the aforementioned regulations, in particular the Commercial Code of 1934 that was finally repealed at the beginning of this century, largely affected the economic changes after 1989.